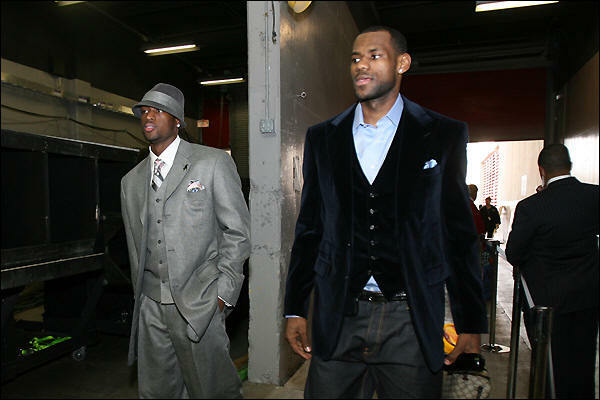 Back on April 1, 2010, I posted an entry about Lebron James joining the Miami Heat. While I was saying all of that tongue in cheek, it looks like the Heat have a legit shot at landing the NBA’s most prized free agent. With Dwayne Wade and Chris Bosh already signed with the Heat, James has a chance to join them on the Heat roster and create a trio of NBA superstars with one nod of the head in the right direction. Surely, Miami area sports fans, like myself, are salivating over the opportunity to have the next best thing to Michael Jordan be a member of the Heat. When Chris Bosh signed, I called the Heat season ticket office and it was very crazy. Seems everyone was excited he joined D-Wade and that alone was enough to drive the Official Heat Website offline. When I called, I was told the call volume was off the charts, and not to my surprise. At 9 EST LeBron James will make his final decision. Will it be the Miami Heat? or will it be one of the host of other teams in the mix? Jay-Z has recruited James to come to New Jersey, which will start playing in Brooklyn in just two short seasons. Also on the radar are the Chicago Bulls, Los Angeles Clippers, and the home town Cleveland Cavaliers. Wherever James goes, the buzz has already started in Miami, and I highly doubt it will stop when the team takes the court this fall. Could LeBron and D-Wade be together again? The guys were just in town a week ago, talking about this moment. It makes a lot of sense for the trio to get together. Then again, Lebron can do whatever he wants and make any team build around him. James, do the right thing. Come to the 305!